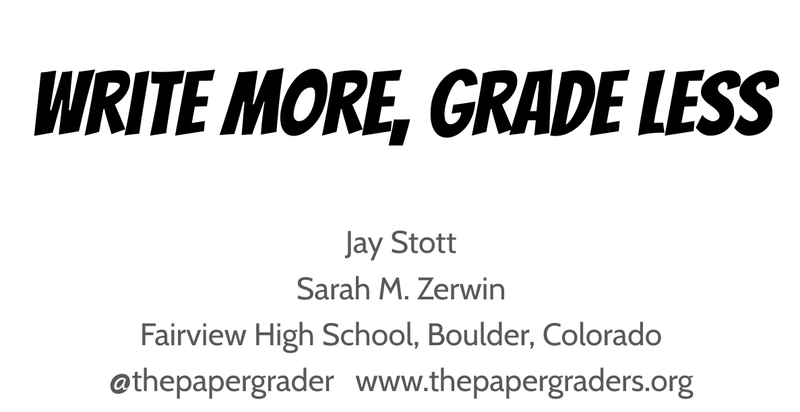 This entry was posted in #NCTE18, gratitude, making change, on the road again, presenting, professional development. Bookmark the permalink. Thanks again for a great session! (I’m the guy from Carrboro, NC.) I am hoping to get a blog started where I reflect on some of the ways we are approaching this at our high school… today’s session invigorated me and gave me so much to think about. I’m a couple chapters in to Reimagining Writing Assessment, based on your recommendation. Hi Pierre! Please send us your blog once you set it up. Would love to see how you’re thinking about how it’s going in your classroom. Thanks for coming to our session. Safe travels.